First Bank set to sack 1000 workers... see why. FBN Holdings Plc, the parent company of First bank Limited said it would cut jobs and focus less on providing loans to the oil industry in a bid to reverse last year’s 82 percent slump in profit. Managing Director/Chief Executive, Mr. Adesola Adeduntan, FirstBank Limited disclosed this in an interview with Reuters. He said the bank plans to boost its return on equity, a key measure of profitability, to between 11 per cent and 14 per cent in 2016 from last year’s “really bad” figure of 3 per cent. The bank is also targeting a cost-to-income ratio of 55 per cent in two years time from 59 percent, he said. “ROE will be much better than last year,” Adeduntan said. Vanguard investigation reveals that the process of pruning the staff to 7000 commenced last year. A source within the bank confirmed to Vanguard saying, “It is not that we plan to sack 1000 staff at a go. It was part of the measures taken last year to enhance the profitability of the bank. So the pruning will be gradual and it started last year”. FBN Holdings’ Net profit fell to N15 billion ($76 million) from N84 billion naira in 2014, as impairments soared and Africa’s biggest economy slowed amid a crash in the price of crude, the biggest source of government revenue and export earnings. 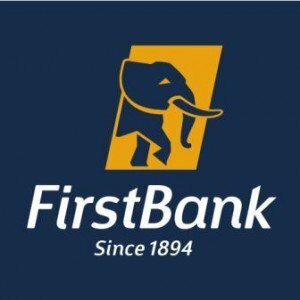 First Bank’s non-performing loans ratio stood at 22 per cent at the end of March, compared with 3.8 percent a year earlier. Reducing that figure is the “number one priority,” said Adeduntan. The bank will do that by reducing the proportion of it’s lending to the oil and gas sector, currently at about 39 percent of total loans, and focusing more on blue-chip companies in other industries, he said. “We continuously evaluate it and the position now is that there’s no need for external capital,” said Adeduntan, 46, who became CEO in January after joining First Bank as Chief Financial officer in mid-2014. “We generate enough internal capital,” he said. FBN’s shares rose 5.3 percent to 3.57 naira on Wednesday. They’re still down 30 percent this year, more than the Nigerian Stock Exchange All Share Index’s drop of 13 percent. The bank’s valuation lags that of its main competitors such as Guaranty Trust Bank Plc and Zenith Bank Plc. Its stock trades at 0.22 times book value, or the theoretical price that shareholders would get if all assets were sold and liabilities paid-off. That compares with 1.18 times for GTBank and 0.62 for Zenith. “The market has over-corrected,” Adeduntan said.